Fulgencio Batista y Zaldívar (Spanish: ; January 16, 1901 – August 6, 1973) was the elected President of Cuba from 1940 to 1944, and dictator from 1952 to 1959, before being overthrown as a result of the Cuban Revolution. Back in power, Batista suspended the 1940 Constitution and revoked most political liberties, including the right to strike. He then aligned with the wealthiest landowners who owned the largest sugar plantations, and presided over a stagnating economy that widened the gap between rich and poor Cubans. 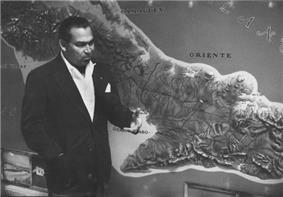 Batista's increasingly corrupt and repressive government then began to systematically profit from the exploitation of Cuba's commercial interests, by negotiating lucrative relationships with the American mafia, who controlled the drug, gambling, and prostitution businesses in Havana, and with large multinational American corporations that had invested considerable amounts of money in Cuba. 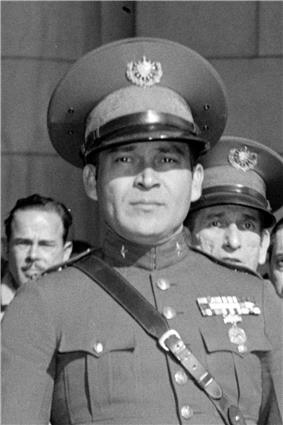 To quell the growing discontent amongst the populace—which was subsequently displayed through frequent student riots and demonstrations—Batista established tighter censorship of the media, while also utilizing his anti-Communist secret police to carry out wide-scale violence, torture and public executions; ultimately killing anywhere from 1,000 to 20,000 people. For several years until 1959, the Batista government received financial, military, and logistical support from the United States. Catalyzing the resistance to such tactics, for two years (December 1956 – December 1958) Fidel Castro's July 26 Movement and other nationalist rebelling elements led an urban and rural-based guerrilla uprising against Batista's government, which culminated in his eventual defeat by rebels under the command of Che Guevara at the Battle of Santa Clara on New Year's Day 1959. 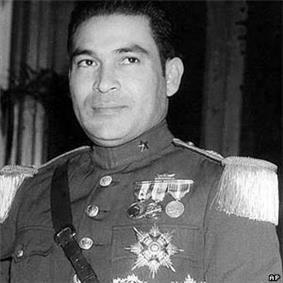 Batista immediately fled the island with an amassed personal fortune to the Dominican Republic, where strongman and previous military ally Rafael Trujillo held power. 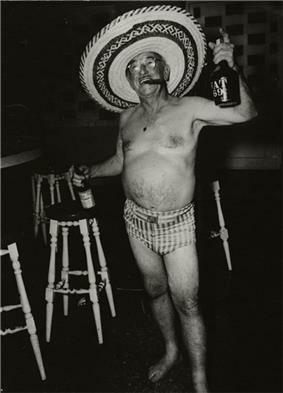 Batista eventually found political asylum in Oliveira Salazar's Portugal, where he lived until dying of a heart attack on August 6, 1973, near Marbella, Spain. Batista was born in Banes, Cuba in 1901, to Belisario Batista Palermo and Carmela Zaldívar González, who had fought in the Cuban War of Independence. He was of mixed Spanish, African, and Indian descent with a part-Chinese father. His mother named him Rubén and gave him her last name, Zaldívar. His father did not want to register him as a Batista. In the registration records of the Banes courthouse he was legally Rubén Zaldívar until 1939, when, as Fulgencio Batista, he became a presidential candidate and it was discovered that this name did not exist. Some have alleged that a judge was bribed 15,000 Cuban pesos (about the same amount in U.S. dollars at the time) to fix the discrepancy. Batista, supported by the "Democratic Socialist" coalition which included  In fact, Communists attacked the anti-Batista opposition, saying Grau and others were "fascists" and "reactionaries." During this term in office, Batista carried out major social reforms and established numerous economic regulations and pro-union policies. 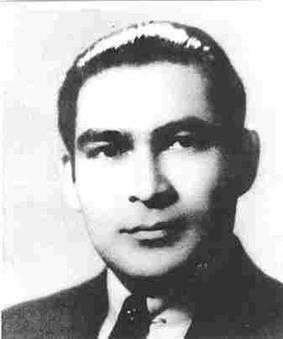 In 1952, Batista again ran for president. In a three-way race, Roberto Agramonte of the Orthodox Party led in all the polls, followed by Carlos Hevia of the Authentic Party. Batista's United Action coalition was running a distant third. 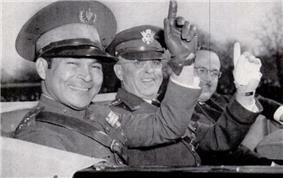 On March 10, 1952, three months before the elections, Batista, with army backing, staged a coup and seized power. He ousted outgoing President Carlos Prío Socarrás, canceled the elections, and took control of the government as "provisional president." Shortly after the coup, the United States government recognized his government. When asked by the U.S. government to analyze Batista's Cuba, Arthur M. Schlesinger, Jr. said "The corruption of the Government, the brutality of the police, the government's indifference to the needs of the people for education, medical care, housing, for social justice and economic justice ... is an open invitation to revolution." ^ "Elections and Events 1935-1951 - The Library". Libraries.ucsd.edu. Retrieved 2014-08-18. ^ Argote-Freyre, Frank (2006). Fulgencio Batista 1. New Brunswick, N.J.: Rutgers University Press. p. 50. ^ Wright, Robert; Wylie, Lana, eds. (2009). Our Place in the Sun: Canada and Cuba in the Castro Era. University of Toronto Press. p. 8. ^ Conflict, Order, and Peace in the Americas, by the Lyndon B. Johnson School of Public Affairs, 1978, p. 121. "The US-supported Batista regime killed 20,000 Cubans"
^ Guerra, Lillian (2010). Grandin, Greg; Joseph, Gilbert M., eds. Beyond Paradox. A Century of Revolution. American Encounters/Global Interactions (Durham, NC: Duke University Press). pp. 199–238. ^ a b "Batista Dies in Spain at 72". New York Times. August 7, 1973. 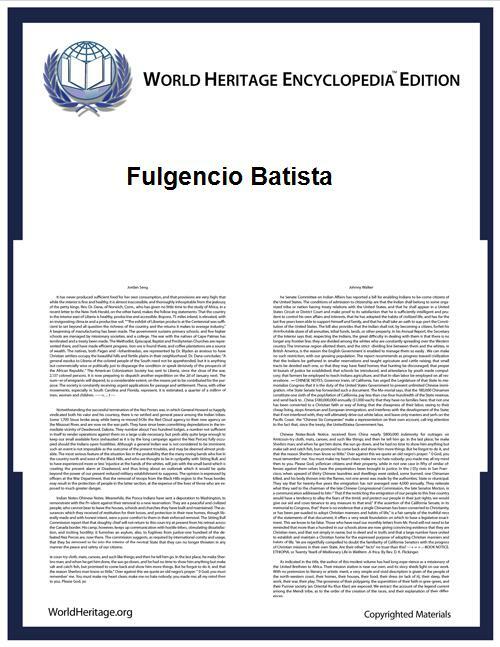 ^ Batista y Zaldívar, Fulgencio by Aimee Estill, Historical Text Archive. ^ a b "Evolution of a Dictator". Time. June 12, 1944. Retrieved May 3, 2010. ^ a b c Julia E. Sweig. Inside the Cuban Revolution. ^ a b Jorge I. Domínguez. Cuba. p. 90. ^ a b Jorge I. Domínguez. Cuba. ^ "The Cuban revolution at 50: Heroic myth and prosaic failure". The Economist. 30 December 2008. ^ a b Servando Gonzalez. The Secret Fidel Castro. ^ Díaz-Briquets, Sergio & Pérez-López, Jorge F. (2006). Corruption in Cuba: Castro and beyond. University of Texas Press. p. 77. ^ Walsh, Daniel C. (2012). An Air War with Cuba. NC, USA: McFarland. p. 5. ^ Fulgencio Batista y Zaldivar. Respuesta: Primera Edición. México, D.F. Impresa Manuel León Sanchez. 1960. ^ Manuel Marquez-Sterling. Cuba 1952–1959: The True Story of Castro's Rise to Power. Wintergreen, Virginia. Kleiopatria Digital Press. 2009. ^ Paterson, Thomas G. (1995). Contesting Castro: The United States and the Triumph of the Cuban Revolution. Oxford University Press. p. 25. ^ Mario Riero Hernandez. Cuba Politica. La Habana, Cuba. 1955. ^ Thomas, Hugh (March 1971). Cuba; the Pursuit of Freedom. New York: Harper & Row. p. 1173. ^ Historia de Cuba: Desde Colon hasta Castro. Carlos Márquez Sterling. Miami, Florida. 1963. ^ a b c Sullivan, Patricia (March 6, 2008). "Ramón M. Barquín, 93; Led Failed '56 Coup in Cuba". Washington Post. Retrieved March 31, 2008. ^ a b Francisco Tabernilla Palmero and Gabriel E. Taborda. Palabras esperadas: Memorias de Francisco H. Tabernilla Palmero. Ediciones Universales. Miami, Florida. 2009. ^ DePalma, Anthony (March 6, 2008). "Ramón Barquín, Cuban Colonel, Dies at 93". New York Times. Retrieved March 31, 2008. ^ Timothy P. Wickham-Crowley. 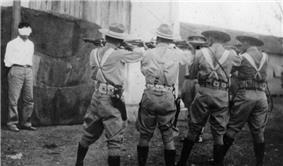 Guerrillas and revolution in Latin America. p. 189. ^ a b Carlos Márquez Sterling. Memorias de un estadista. Ediciones Universales. Miami, Florida. 2005. ^ a b O'Meilia, Tim (October 4, 2006). "Widow of Cuban dictator Batista dies in WPB". ^ a b c "Widow of Cuban strongman Batista dies". ^ "Castro: The Great Survivor". BBC News. October 2000. Retrieved May 15, 2006. ^ "Son of former Cuban leader dies". Pensacola News Journal. November 9, 2007. Batista's resignation as president on New Year's Eve 1958–59 is reenacted in a pivotal scene in the Academy Award–winning 1974 film The Godfather Part II, although the Cuban president is not named. The role was played by Tito Alba. After he fled to Portugal, Batista lived in Madeira, then later in Estoril, outside Lisbon, where he wrote books the rest of his life. He was the Chairman of a Spanish life insurance company that invested in property and mortgages on the Andalusian Costa del Sol. He died of a heart attack on August 6, 1973, at Guadalmina, near Marbella, Spain, two days before, allegedly, a team of assassins from Castro's Cuba could carry out a plan to assassinate him. Batista married Elisa Godínez y Gómez (1900–1993) on July 10, 1926. They had three children: Mirta Caridad (1927–2010), Elisa Aleida (born 1933), and Fulgencio Rubén Batista Godínez (1933–2007). By the end of Batista's rule, later described by U.S. President Kennedy as "one of the most bloody and repressive dictatorships in the long history of Latin American repression", many claim that up to 20,000 Cubans had been killed. As news of the fall of Batista's government spread through Havana, The New York Times described jubilant crowds pouring into the streets and automobile horns honking. The black and red flag of the July 26 Movement waved on automobiles and buildings. The atmosphere was chaotic. On January 8, 1959, Castro and his army rolled victoriously into Havana. Already denied entry to the United States, Batista sought asylum in Mexico, which also refused him. Portugal's Prime Minister António Salazar allowed him to settle there on the condition that he completely abstain from politics. On December 31, 1958, at a New Year's Eve party, Batista told his Cabinet and top officials that he was leaving the country. After seven years, Batista knew his presidency was over, and he fled the island in the early morning. At 3:00 a.m. on January 1, 1959, Batista boarded a plane at Camp Columbia with forty of his supporters and immediate family members. and flew to Ciudad Trujillo in the Dominican Republic. 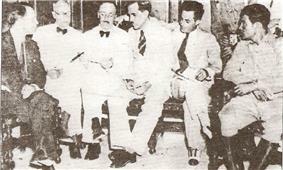 A second plane flew out of Havana later in the night, carrying ministers, officers, and the Governor of Havana. Batista took along a personal fortune of more than $300 million that he had amassed through graft and payoffs. Critics accused Batista and his supporters of taking as much as $700 million in fine art and cash with them as they fled into exile. Elections were scheduled for June 1958, as required by the Constitution, but were delayed until November 1958, when Castro and the revolutionaries called for a general strike and placed several bombs in civilian areas of the country. Three main candidates ran in the elections: Carlos Márquez Sterling of the Party of the Free People, Former President Ramón Grau San Martín of the Cuban Revolutionary Party-Authentic, and Andrés Rivero Agüero of the government coalition. 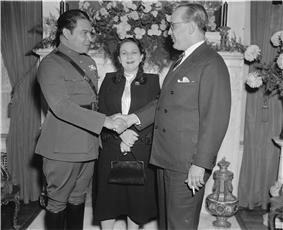 According to Carlos Márquez Sterling, all three were threatened by Castro, and several assassination attempts were made on both Ramón Grau San Martín and Carlos Márquez Sterling. On Election Day, estimates on the turnout range from 30–50% in the areas where voting took place, which did not include parts of Las Villas and Oriente, which were controlled by Castro. Márquez Sterling also stated that the initial results were favorable to him, but the military ordered the counting to stop as they changed the actual ballots for fraudulent ones. However Grau San Martín, as he had previously done in the 1954 elections, withdrew his candidacy within few hours of the election day. Batista declared Rivero Agüero the winner. On December 11, 1958, U.S. Ambassador Earl Smith visited Batista at his hacienda, Kuquine. There, Smith informed him that the United States could no longer support his government. Batista asked if he could go to his house in Daytona Beach. The ambassador denied the request and suggested that he seek asylum in Spain instead. By late 1955, student riots and anti-Batista demonstrations had become frequent, and unemployment became a problem as graduates entering the workforce could not find jobs. These were dealt with through increasing repression. All youth were seen as suspected revolutionaries. Due to its continued opposition to Batista and the large amount of revolutionary activity taking place on its campus, the University of Havana was temporarily closed on November 30, 1956 (it did not reopen until 1959 under the first revolutionary government). On March 13, 1957, student leader José Antonio Echeverría was killed by police outside Radio Reloj in Havana after announcing that Batista had been killed in a student attack on the Presidential Palace. In reality, Batista survived, and the students of the FEU and DR who led the attack were killed in the response by the military and police. Castro quickly condemned the attack, since the July 26 Movement had not participated in it. Batista held an election in 1954, running as the candidate of a political coalition that included the Progressive Action Party, the Radical Union Party, and the Liberal Party. The opposition divided into abstentionists and electoralists. The abstentionists favored boycotting the elections regardless of the circumstances in which they were held, whereas the electoralists sought certain rights and guarantees to participate. The CIA had predicted that Batista would use any means necessary to ensure he won the election. Batista lived up to their expectations, utilizing fraud and intimidation to secure his presidency. This led most of the other parties to boycott the elections. Former President Ramón Grau San Martín, leading the electoralist factions of the Cuban Revolutionary Party, participated through the political campaign but withdrew from the campaign days before election day, charging that his supporters had been terrorized. Thus, Batista was elected president with the support of 45.6% of registered voters. Despite the boycott, Grau received the support of 6.8% of those who voted. The remaining voters abstained. Earl T. Smith, former U.S. Ambassador to Cuba, testified to the U.S. Senate in 1960 that, "Until Castro, the U.S. was so overwhelmingly influential in Cuba that the American ambassador was the second most important man, sometimes even more important than the Cuban president." In addition, nearly "all aid" from the U.S. to Batista's government was in the "form of weapons assistance," which "merely strengthened the Batista dictatorship" and "completely failed to advance the economic welfare of the Cuban people." Such actions later "enabled Castro and the Communists to encourage the growing belief that America was indifferent to Cuban aspirations for a decent life." As the new hotels, nightclubs, and casinos opened, Batista collected his share of the profits. Nightly, the "bagman" for his wife collected 10 percent of the profits at Habana Riviera, the Hotel Nacional, the Montmartre Club, and others—was said to be 30 percent. Lansky was said to have personally contributed millions of dollars per year to Batista's Swiss bank accounts. Lansky became a prominent figure in Cuba's gambling operations, and exerted influence over Batista's casino policies. Lansky also turned Cuba into an international drug trafficking port. The Mafia's Havana Conference was held on December 22, 1946, at the Hotel Nacional de Cuba; this was the first full-scale meeting of American underworld leaders since the Chicago meeting in 1932. Lansky set about cleaning up the games at the Montmartre Club, which soon became the "place to be" in Havana. 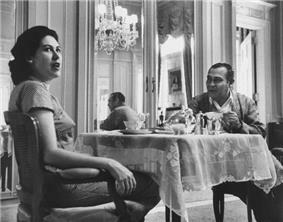 He also wanted to open a casino in the Hotel Nacional, the most elegant hotel in Havana. Batista endorsed Lansky's idea over the objections of American expatriates such as Ernest Hemingway, and the renovated casino wing opened for business in 1955 with a show by Eartha Kitt. The casino was an immediate success. After World War II, American mobster Lucky Luciano was paroled from prison on the condition that he permanently return to Sicily. Luciano secretly moved to Cuba, where he worked to resume control over American Mafia operations. 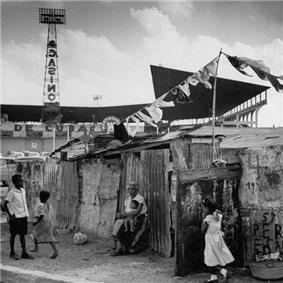 Luciano also ran a number of casinos in Cuba with the sanction of Batista, though the American government eventually succeeded in pressuring the Batista government to deport him. In a bid to profit from such an environment, Batista established lasting relationships with Las Vegas." Batista and Lansky formed a friendship and business relationship that flourished for a decade. During a stay at the Waldorf-Astoria in New York in the late 1940s, it was mutually agreed that, in return for kickbacks, Batista would give Lansky and the Mafia control of Havana's racetracks and casinos. In the 1950s, Havana served as "a hedonistic playground for the world's elite", producing sizable gambling, prostitution and drug profits for American Mafiosos, corrupt law-enforcement officials, and their politically elected cronies. In fact, drugs, be it marijuana or cocaine, were so plentiful at the time that one American magazine in 1950 proclaimed "Narcotics are hardly more difficult to obtain in Cuba than a shot of rum. And only slightly more expensive."